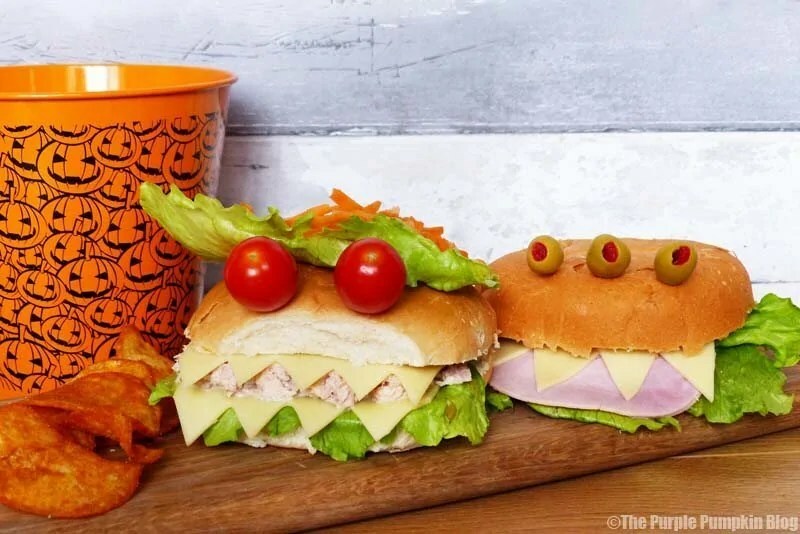 These are great to serve at a Halloween party, or lay out the ingredients for the kids, and they can create their own monster rolls! Halve the rolls and spread with butter. Top with lettuce leaves. In a bowl, mix together the tuna with the mayonnaise. Add in spring onions if you like. Mix well till combined - you can use more or less mayo according to your personal preference. Cut each slice of cheese in half, and cut triangles along the edge to form the "teeth". Lay one slice of the cheese "teeth" on top of the lettuce. Divide the tuna between the four rolls. 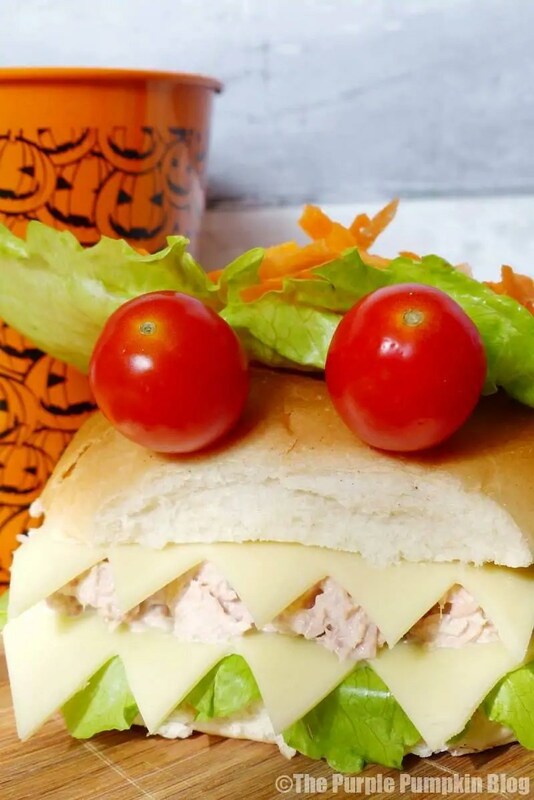 Top with another set of cheese "teeth", and close the roll. Skewer the tomatoes with a cocktail stick and poke into the roll. 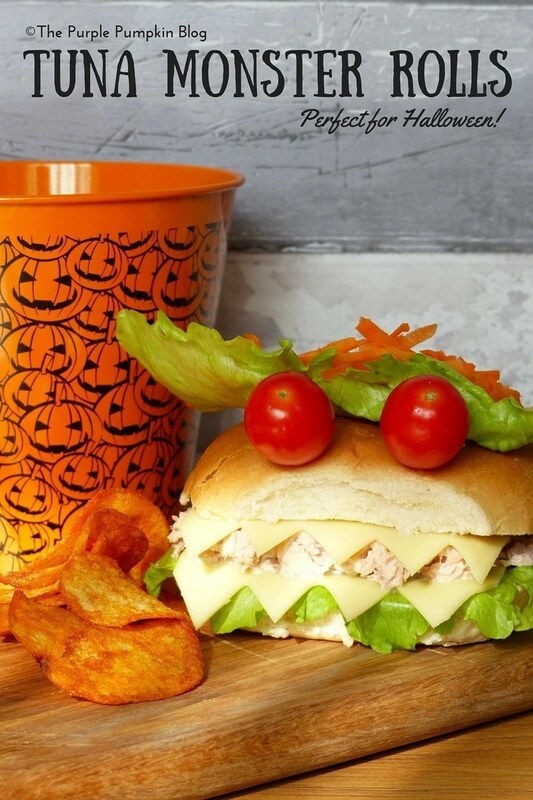 If giving these to children, you could cut the cherry tomatoes in half and rest on top of the rolls instead. 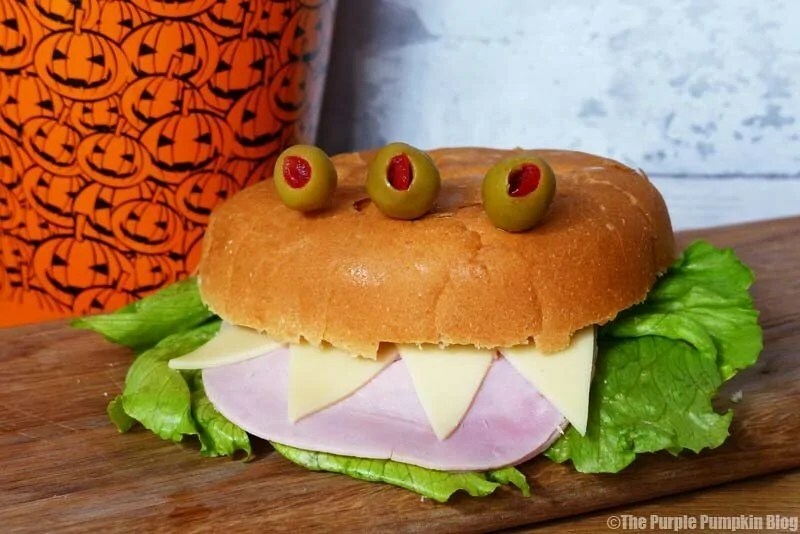 Add lettuce, carrot, or salad cress hair -it's your monster, do what you wish! Disclosure: I was provided with the ingredients to make this recipe. Ah I love this! May get my little man eating fish!! Fab!